The Milton Development Review Board meets on the second and fourth Thursdays of each month in the Community Room at the Municipal Office Building, 43 Bombardier Rd. Agendas and minutes are available at the Town's website. For more information, contact the planning and economic development office at 893-5400 or check out our website. 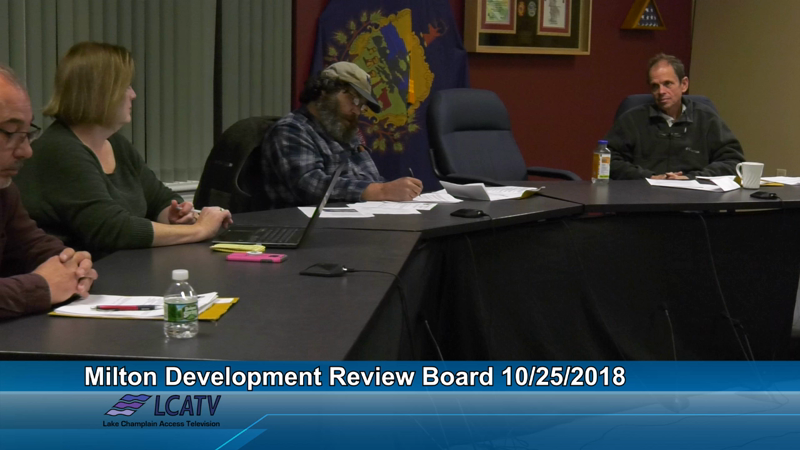 0:02 Richard and Daren McLay request Conditional Use and Major Site Plan approval to install a retaining wall along the shore of Lake Champlain and the replacement of a boat lift and dock. The property is located at 266 Cold Spring Road.